How much memory can I allocate to Xeams? The answer depends on how much physical memory you have on the system where Xeams is installed and which operating system are you using. * The theoretical memory limit on a 64bit machine is about 264, which is about 17.2 billion gigabytes. 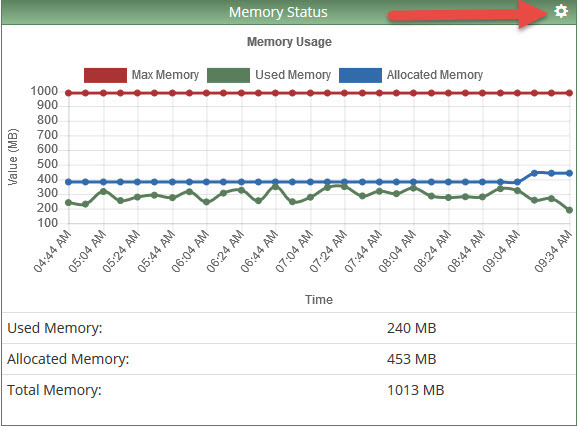 If your server requires that much of memory, you must be working for the Department of Defense. The following steps demonstrate how to increase memory in Xeams. change the value direclty via service.properties on the config file and rather if it show's up that the change are made or not it will work. MY SOLUTION: I was able to piece together the following solution from logs and the other comments mentioned here (thank you all). As of build 5832 (and apparently going back further), this setting is found in run.sh. In my case, the file can be found at: /opt/xeams/run.sh Again, in my case, line 10 reads: jre/bin/java -server -Xmx1536m -cp $CP -DLoggingConfigFile=logconfig.xml com.synametrics.xeams.ServerStarter & The memory setting is the argument "-Xmx1536m", where the "1536" is an integer value in megabytes to allocate to the java server. In my case, I updated this number from 512 to 1536 (1.5GB), then rebooted the server (for good measure). Upon restart my memory allocation was 1.5GB, and this was also reflected in the UI/Dashboard. For the record, the issue I was experiencing was that periodically, say every 5-10 days, the Xeams server would become completely unresponsive and remain that way. I was able to login to the physical server through SSH and Webmin, and everything seemed fine, but Xeams would not respond to any SMTP or HTTP requests. After monitoring the server using HTOP for a few days, I saw that memory was very frequently pushing the limits at 512MB, and I made the assumption that Xeams was running out of memory frequently and unable to restart. My hope is that updating the memory to 1.5GB will alleviate some or all of this. This method does not work. The picture isn't even correct anymore. So has anyone ever successfully changed the memory size?